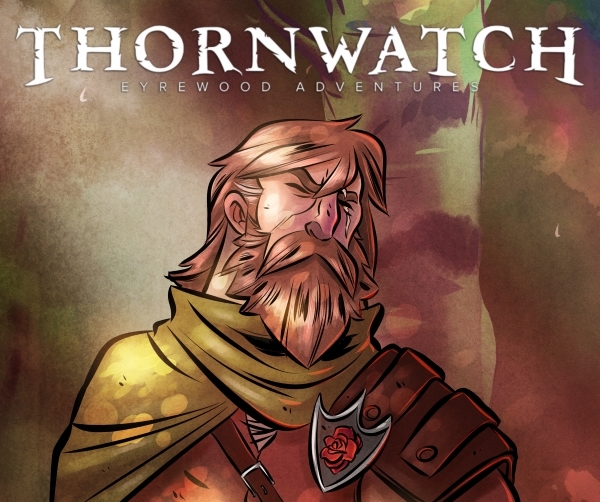 Thornwatch is Here! Play at Gen Con! We entered the Eyrewood, tied our knots, and waited patiently beneath the bowers of the magical forest. As they have always done, the Thornwatch have arrived. Thornwatch and The Dark of the Wood hit physical and digital stores today! Head out and buy your copy, or buy directly from the Lone Shark Games store, and then prepare to rid the Eyrewood of the corruption that lurks within. If you’re heading to Gen Con and want to learn more about Thornwatch, play through an adventure with friends, or join us for the unique mega-adventure we’re running at the con, scroll down for all the information. We’ll be happy to drop you off in the Eyrewood for the weekend. 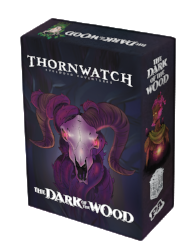 We’ve had a blast making and playing this game alongside all the Thornwatch fans and we’re ridiculously excited to be able to bring you all into the Eyrewood with us. Time to be a hero. Accept the call of the Eyrewood and become one of the Thornwatch, spirits bound to protect the ordinary citizens from the terrors of the forest. As the Blade, Greenheart, Guard, Sage, or Warden, it’s up to you to save the day. Summon five new members of the Thornwatch and all that comes with them. This set adds the Briarlock, the Dark Courier, the Unsundered, the Weave-Weald, and the Woldsen, all with new powers and gruesome complications. 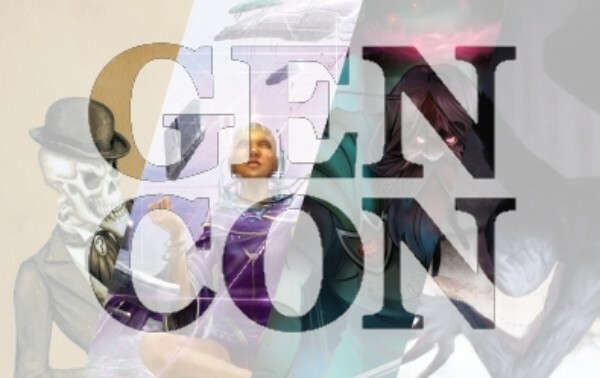 Gen Con is right around the corner and everyone at Lone Shark Games will be there with bells on. 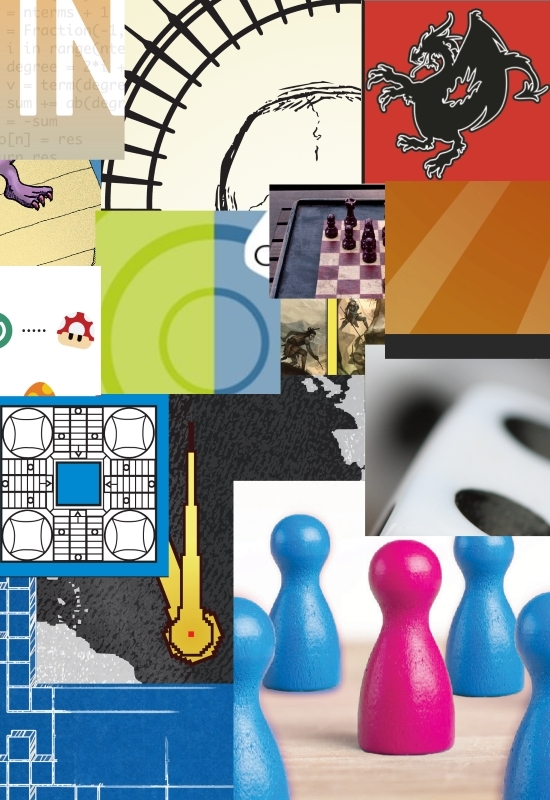 Okay, no bells, but we will be demoing, selling, and running events for our recent games. 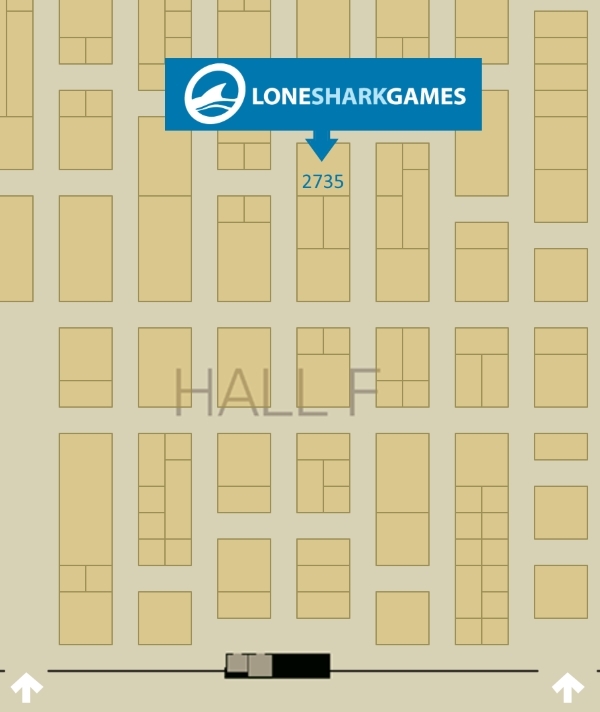 You can find the Lone Shark Games booth at 2735 in the Exhibitor Hall, where we’ll run you through a demo of Thornwatch, The Ninth World, Apocrypha, and more. Rodney Thompson will also be there showing off Dusk City Outlaws! Click on the map to head to the full Gen Con floor map. Apocrypha is a co-op adventure card game that peels back the curtain of reality to expose the supernatural threats hiding right in front of us. If you’ve ever watched shows like Buffy, Supernatural, or Grimm then you have an inkling of what to expect. You and the other players at the table take up the mantle of present-day saints to protect the normal people of the world from monsters they can’t begin to imagine. It can take a bit of practice to master the ins and outs of being a saint and fighting the supernatural. We’re running two hour slots Thursday-Sunday for people to learn the ropes of Apocrypha. If you haven’t played Apocrypha yet, this is the event for you. If you know what it’s like to live the life of a saint and have taken on Apocrypha before, this is your bread and butter. At each two-hour slot Thursday-Sunday, each player will receive a special promo card, a $10 coupon toward purchase of any Lone Shark game, and one lucky player will receive a signed copy of the game. Friday only, this is the grand release event for “Snakenado! Reign of Venom”—our first guided mission featuring stories from the new expansions for Apocrypha: The Flesh and The Devil. You’ll be shoulder-to-shoulder with saints as everyone in the room takes their first stab at this RPG-style guided mission. Each player will receive a coupon toward purchase of any Lone Shark game, and one lucky player at each table will receive the copy of the game played. It’s all right there in the name—if you want to learn how to play The Ninth World: A Skillbuilding Game for Numenera, we’ve got you covered. These two hour slots run Thursday-Sunday and will give you everything you need to take on the dangers threatening the nine kingdoms of the Steadfast. If you’re a Jack, Glaive, or Nano who has experience in The Ninth World, you’ll find plenty of adventure here. In two hour slots Thursday-Sunday, each player will receive two special promo cards, a $10 coupon toward purchase of any Lone Shark game, and one lucky player will receive a signed copy of the game. Step into the roles of ghostly heroes of the Eyrewood, a forested land where the Ebb claims all it touches. Explore this fantasy setting from Penny Arcade with three different events! If this is your first time stepping into the Eyrewood, or just need a refresher on what it means to be one of the Thornwatch, grab tickets for this event. This one is only running Thursday at noon so get your tickets today and don’t miss out. Take up the mantle of the Thornwatch to save the people of the Eyrewood once again, and get some noteworthy loot while you’re at it. Each player will receive a $10 coupon toward purchase of any Lone Shark game, and one lucky player will receive a signed copy of the game. 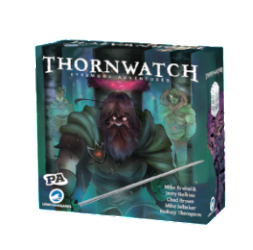 Thornwatch players at every table join together in this massive, cooperative special event, overflowing with twists, turns, and surprises. Each player will receive a discount toward purchase of any Lone Shark game, and one lucky player at each table will receive the copy of the game played. You’ve made it all the way to the end of the post, so you get the super-secret surprise. We have a special announcement going out tomorrow, and while we can’t talk about it quite yet, we can give you a hint. Without further ado, here is your sneak peak of tomorrow’s big news! And with that, we bid you adieu. But only until tomorrow. We’ll be back with another update shedding light on the image above within 24 hours. Until then, have fun and good gaming!